I graduated from Sheffield Hallam University as a Chartered Physiotherapist in 1999, having decided on Sheffield so that I could continue my competitive diving career with Team GB. Having always been involved in sport, my formative years were reasonably competitive, starting out in gymnastics and reaching the South West Regional Squad by the age of 11. Gymnastics was replaced by hockey, playing for Devon as well as school and club sides, then taking up diving as a relative veteran at the age of 14! There is a lot of skill overlap between gymnastics and diving which accounts for the high number of gymnasts recruited across. I made the National Squad and then in 1997 became a Junior International representing Team GB on the 3 metre board at several International Grand Prix competitions with my coach Andy Banks who went on to coach Tom Daley. Once at university, time pressures pushed me to decide between a career in diving or a career in Physiotherapy. The latter prevailed as it afforded me the opportunity to combine my passions for sport, movement analysis and anatomical efficiency as well as helping people achieve their optimum physical potential. After qualifying I got a job in the NHS where I gained 5 years invaluable experience in an environment renowned for producing well rounded, patient focused Physiotherapists. Following my NHS work I was offered work in private practice, splitting my week between Faye Pedler Clinic and Saltash Physiotherapy Clinic through which I was also given the opportunity to work in the professional sporting environment, providing Physio cover for Plymouth Albion and Plymouth Raiders amongst several others. 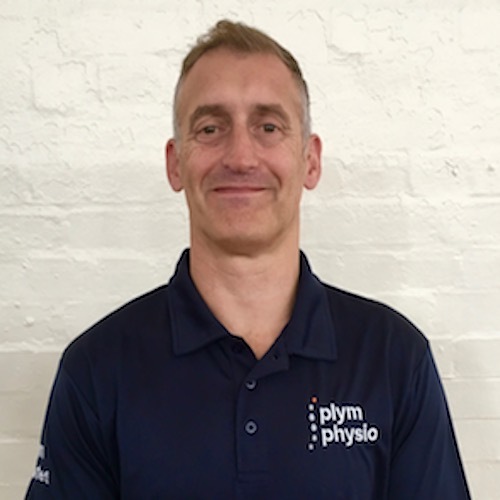 In 2006 I rose to the challenge of starting my own practice, Plympton Physiotherapy, based on the Ridgeway which I built up concurrently with my work at the other 2 clinics and trained in Acupuncture. Having maintained links with my gymnastics and diving contacts, the coaches discovered that having a Physio with 'insider knowledge' provided an unparalleled perspective on athlete care and an invaluable appreciation of the rehabilitation and training demands placed upon them. Due to a desire to maintain a skill set informed by the very latest research I have attended a great number of CPD courses that look particularly at movement control, biomechanics and rehabilitation/pre-habilitation skills. By implementing these techniques across my clinical practice, I ensure that all patients benefit from the most up to date treatment strategies. In 2009 I completed the series of APPI (http://appihealthgroup.com/) pilates courses (the first organisation to develop pilates specifically intended for Physiotherapists in the clinical environment) and started teaching modified pilates (pilates that has been adapted to improve mobility, strength and control with a greater level of precision). However this approach didn't provide solutions for the full range of challenges I face through the wide spectrum of patients I treat. I therefore complimented what I had learnt by completing the the 'JEMS Movement Art' (http://www.jemsmovement.com) series which has a strong biomechanical bias to movement and efficiency in the 'normal' as well as athletic setting. 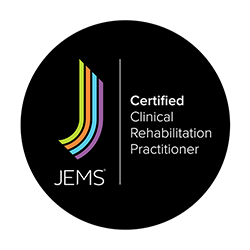 I achieved Certified JEMS Practitioner status in 2014 and have since incorporated the techniques into my day to day treatments as well as my 'Plym Pilates' classes. 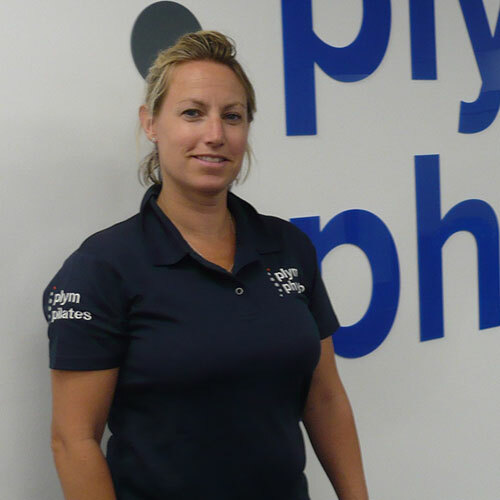 In 2010 having rebranded my practice as Plym Physio, I was contracted by the English Institute of Sport and subsequently British Diving to act as their Physiotherapist through which I have developed specialised treatment programmes as well as rehabilitation and more frequently now, pre-habilitation programmes for divers. I travel with the Junior International team to events such as the Junior European Diving Championships, Grand Prix events and training camps, the latest of which was in China. I also travelled with Team GB to the inaugural 2015 European Games in Azerbaijan. With my private practice growing in popularity we decided to take the huge step of moving out of rented room premises into our own purpose-built clinic on Seymour Road, Plympton which is equipped with treatment rooms and a large, mirrored gym space, perfect for the full range of classes now offered by Plym Physio: Plym Pilates, Physi-go mum and Physi-go run I hung up my swimsuit a long time ago but picked up some running shoes. Now a keen runner I have completed the London Marathon four times and also Boston in 2013, qualifying as a ‘good for age’ athlete. More recently I tried Triathlons and hope one day to complete a half Ironman once I've regained my fitness following the birth of my daughter in May 2016. After a career in the Royal Navy, involving a lot of sport including rugby and Devonport Command Field gun leading to numerous sporting injuries, I decided to re-train as physiotherapist. In 2011 I graduated from the University of Plymouth with a Physiotherapy BSc(Hons). My first job as Physiotherapist was working in battlefield, orthopaedic and sporting rehabilitation for 2 Rifles Army Regiment in Northern Ireland. From this, I went on to work for the Royal Devon and Exeter Hospital, with respiratory and rehabilitation needs of various patient groups including intensive care, health care of the elderly and respiratory disease wards. My third work opportunity was at Derriford hospital, where I continued ward based respiratory and rehabilitation of varying patient groups including orthopaedics, cardiothoracics and musculoskeletal (MSK) outpatients. 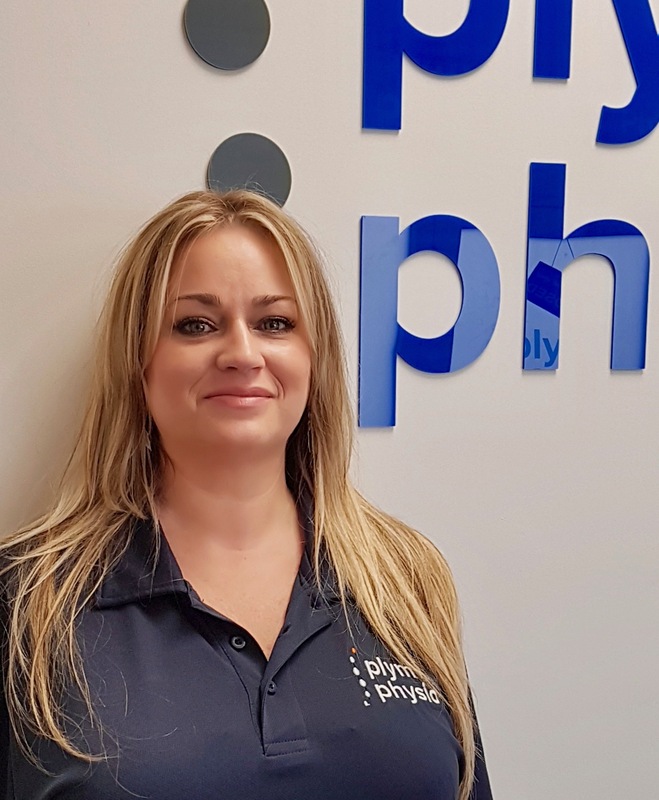 It was in Derriford that I decided to specialise in MSK physiotherapy and gained a promotion to Senior Physiotherapist specialising in MSK. After 5 years working in the NHS I had gained a well-grounded patient-centred approach to Physiotherapy and presently I am working for the Ministry of Defence in HMS Drake in MSK rehabilitation and now have the privileged opportunity to become part of the amazing team at Plym Physio. I aspire to continue to improve my knowledge and skills as a clinician, to gain greater application of assessing, providing treatment plans and therefore giving patients greater outcomes attending CPD courses to improve my analysis of biomechanical movement, chronic pain, Biopsycosocial issues for rehabilitation. With this in mind, plus my experience working with all patient groups young, old, sporting, non-sporting, with acute and chronic MSK issues, lead me to re-evaluate my approach to non-specific lower back pain. After a lot of research, I concluded to train in a cognitive movement pattern combined approach with Peter O’Sulivan. I have experienced greater success with this approach, giving patients, greater understanding of their condition and how to gain control. My home life is busy like most, I am outnumbered three to one, married to Karen with two daughters of seven and thirteen. Even being a busy parent of two daughters, my personal interests have always been sport based including Rugby, Surfing, Cycling and my competitive sport of choice at present is the winter sport of cyclocross (a cross between road and off road cycling). With the season close approaching I am as most training hard to up my fitness. Charlotte grew up in London, moving down to Plymouth in 2000. 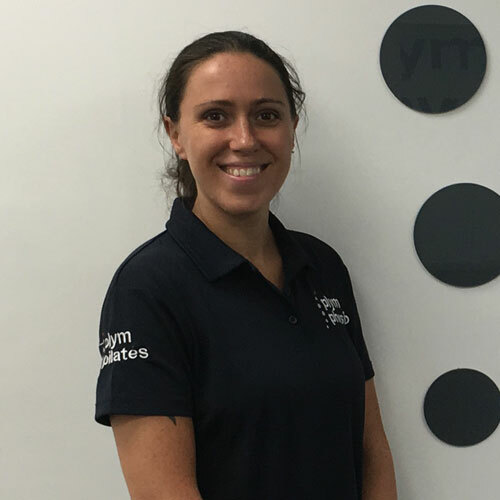 She became a Yoga teacher in 2009, and completed the level 5 advanced clinical sports therapy diploma in the early part of 2015. She was inspired to learn sports massage therapy, due to suffering with knee injuries herself via poor instruction from a gym. After experiencing the benefits of sports massage on her injuries she is keen to help others in the same way. She currently works in Plymouth and Kingsbridge. I am a Graduate Sports Therapist. I gained my degree from the University of St Mark & St John in 2016. Sports Therapy relies heavily on an underpinning knowledge and awareness of sports exercise science disciplines such as anatomy and physiology. I began Diving at the age of 6 and competed at national events of different standards for 13 years. I gained my level 1 qualification when I was 16 and took on coaching as a part time job. My love for coaching grew and I gained my level 2 qualification at 17. I coach within the talent set up at Plymouth and have a passion for helping discover and develop new talent. Cognitive Behavioural Therapist 0.A. Dip. 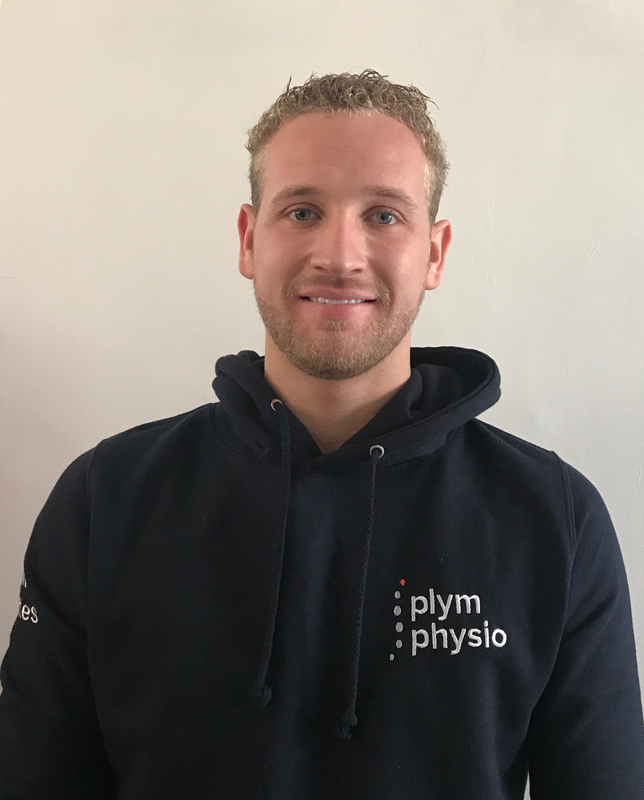 Born and raised in Plymouth, I am excited working as part of a professional team at Plym Physio. I have always had a passion for helping others. In today’s society we can become overwhelmed with work commitments, home life and life experiences (good or bad) that can all have an impact on the individual in which we have become. It is very easy to forget the person we once where. I am here to support you into finding that inner self you once knew existed, as a holistic therapist I will support you to maintain that focus for the ongoing future. With a Diploma in Mindfulness Based Cognitive Behavioural Therapy with Counselling I can offer coaching support for depression, anxiety, obsessive compulsive disorder, phobias, addiction, chronic pain, chronic fatigue syndrome, post-traumatic stress disorder, sleeping disorders, Stress and much more. Using techniques with a professional manner on an individual bases we will work together to gain positive focus. Specialising in Fibromyalgia and a sufferer of Fibromyalgia myself I can help to support you with symptoms such as chronic pain, chronic fatigue, anxiety, trouble sleeping, fibro fog as a fibro sufferer you will know the list of symptoms is much longer. Whether you feel your concern is too small or to big I am not here to cast judgement I am here to support you in to maintaining a healthier lifestyle. Working together we will get you on your life path that you choose after all you deserve happiness and peace of mind. “Take care of your body, thrive on nature, your body will always be your home” I look forward to meeting you.